Do you own a family farm or other environmentally sensitive land that you would not like to see developed? You may wish to protect your land for the future by transferring the title to your property to the Niagara Land Trust now, or arranging to do so at a later date. Donating or selling your land to the Niagara Land Trust will ensure its long-term protection from development, and does not necessarily entail your loss of access to that land while you or your family is alive. In fact, there are ways to structure a donation that allow you to receive a life income from your land. The Niagara Land Trust is recognized as a registered charity by Revenue Canada and has also been recognized as a qualified recipient of Ecological Gifts by Environment Canada. 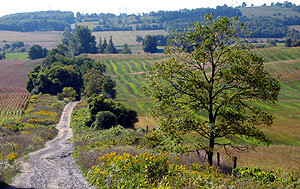 The Niagara Land Trust will meet with you to review all available options that might best accommodate your wishes.